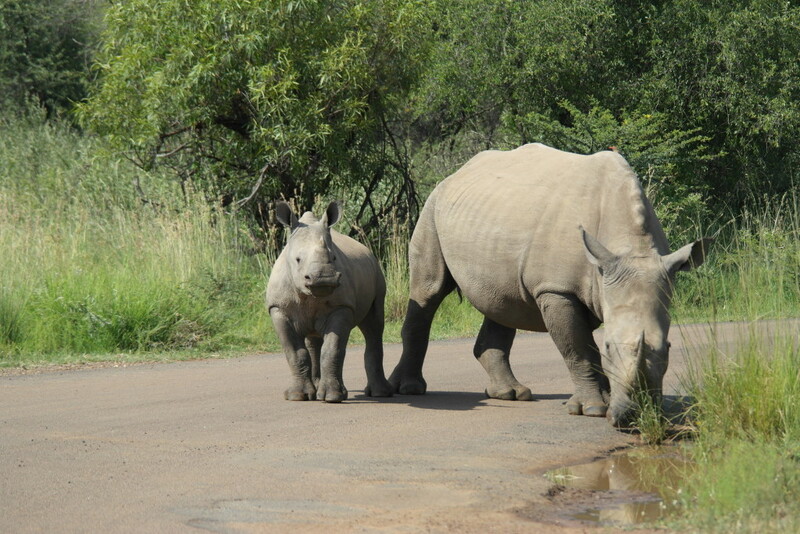 Driving through a game reserve brings a whole new meaning to being at one with nature. I found it completely and utterly mind blowing that you could just drive around and at any moment encounter a zebra, lion or giraffe. 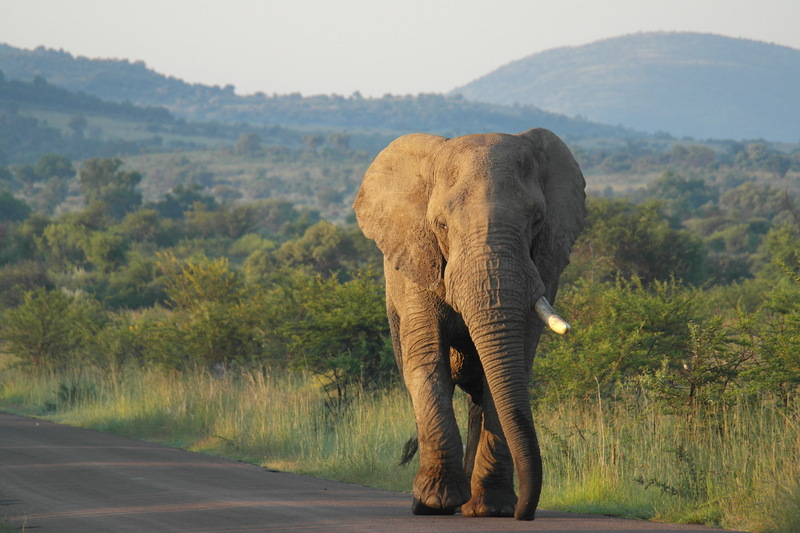 When we first left Sun City in January, we actually drove through the Pilanesberg National Park on our way to our next stop, the Bakgatla resort next to the Ivory Tree Game Lodge, where we were booked with the family for a week. Rob had warned me to get my camera out and I’m so glad that he did. 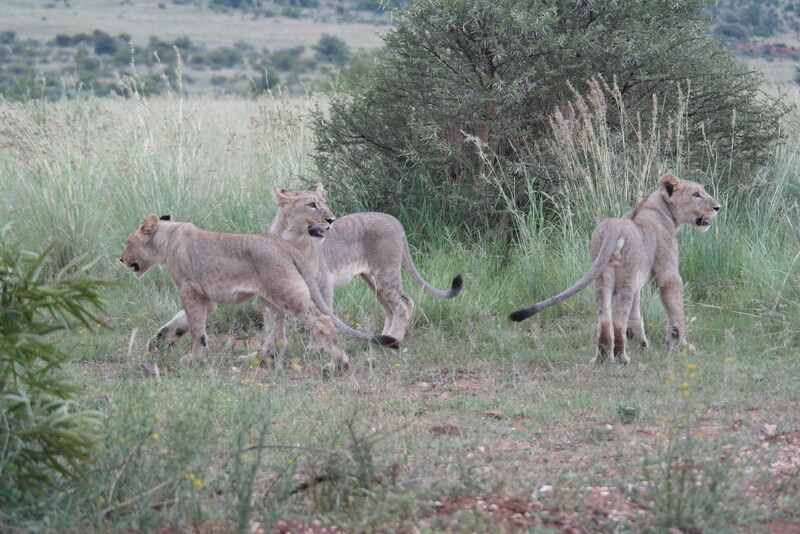 After about 5 secs in the park we came across a small waterhole where a bevvy of beasts were eagerly drinking. Five minutes later, I yelped. Rob jumped. ‘Zebra!’ I screamed. They were standing right in the roadside. He smiled and pulled over whilst I took a flurry of photos. ‘There’ll be more, don’t waste your battery,’ He told me. He wasn’t wrong. 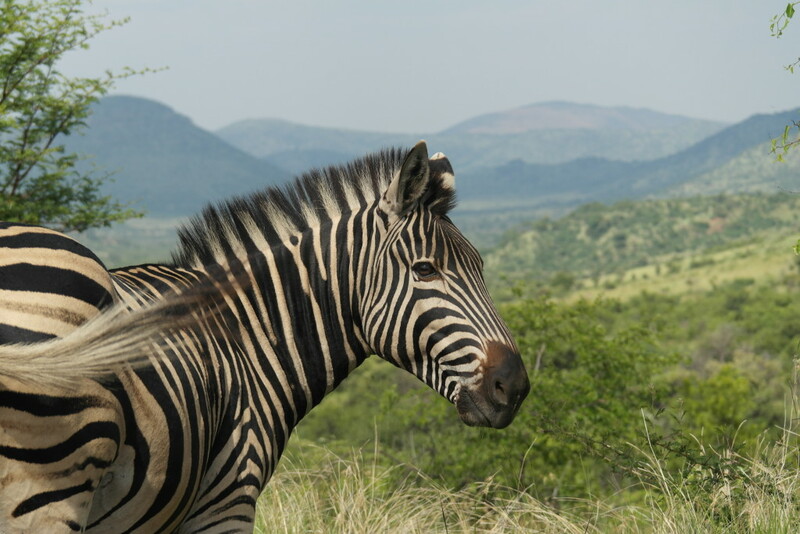 Just around the corner, we spotted another few zebra and started to pass impala and other wild animals pretty frequently. Of course that’s why we were here. For two years since we’ve been planning and visiting South Africa, I’ve been dying to see the animals. And now here we were. Just driving from one side of the park to the other got me so excited. I soon learnt that the real spots were The Big 5 and not the herds of zebras and wildebeest that were around. 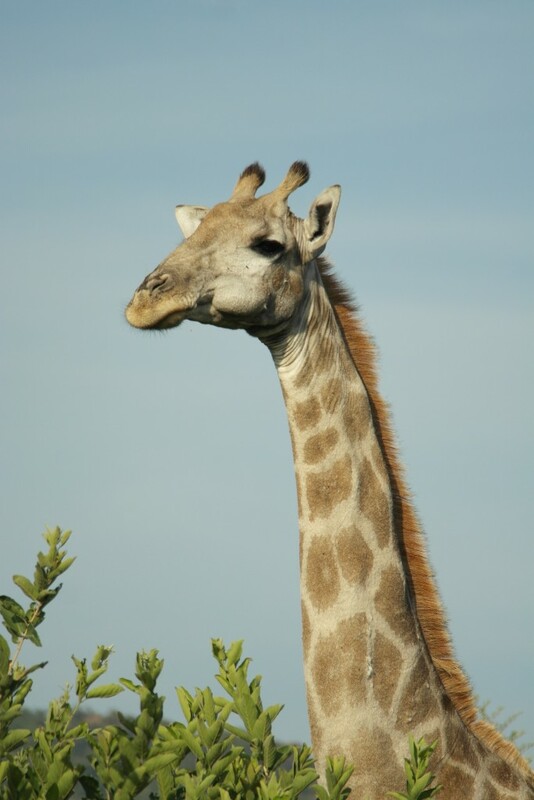 We often saw big groups of giraffe with the zebras too which was great. Throughout the week we got up religiously at 5 or 6am to catch the animals on their first trip to the waterhole. We’d take smaller paths, pass safari ranger trucks and follow trails to find The Big 5. Some mornings, we’d meet up with the rest of the family for breakfast at a restaurant right in the middle of the park that overlooked a salt block that attracted wildebeest, kudu, warthogs and Impala who fought over who got to lick the block. The wildebeest usually won. Afternoons would be spent lazing around camp, napping, or shopping for whatever food we were going to braai that night. We were a big group made up of several generations of Rob’s family from his 85 yr old grandmother to his cousin’s 2yr old daughter. I of course had to squeeze in a little work in the afternoons too, but with no complaints. How can you when surrounded by such nature? 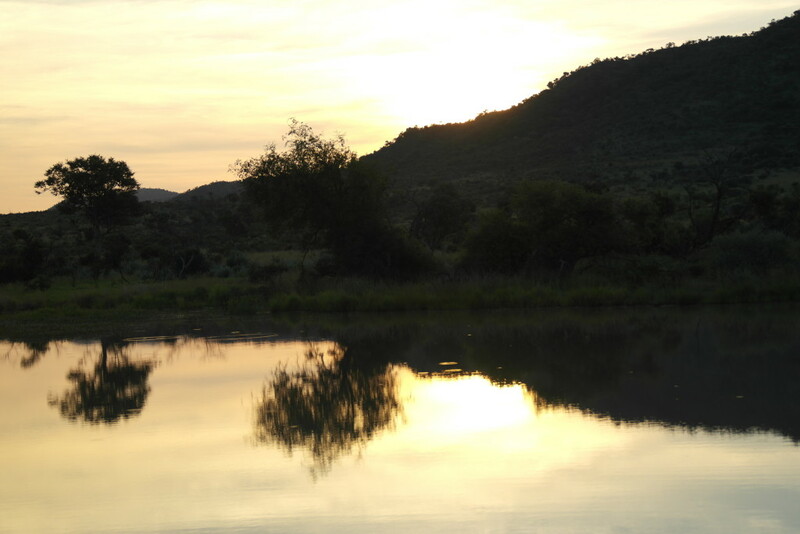 We’d go back out into the game reserve at 5 or 6pm to catch the sundown movement of the animals. One night we even took a few drinks and watched the sun set from a caged look out on a lake. Another night we went out with a ranger on lion patrol. We didn’t see that much unfortunately but it was fun being on a higher vehicle. We had been driving around ourselves in a little VW, not the best for seeing over the bushes! 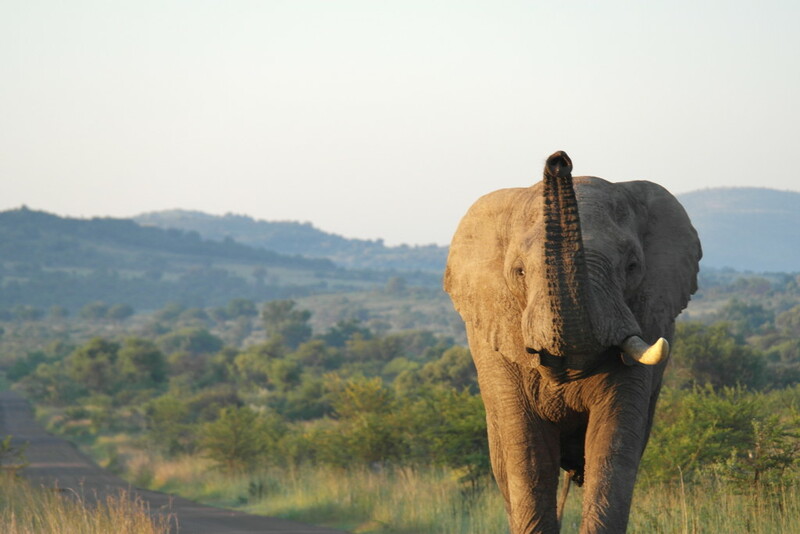 One of the best spots was an elephant coming at us on the last morning. We had seen a few of course but He was huge and the morning sun hit him so beautifully that he looked even more majestic than he already was. One thing I learned that week was that you do not mess with these animals. We really are so small in this big world and there are larger creatures who are much higher up the food chain than us. That’s actually a great feeling to keep you grounded. Africa has funny way of making you think that. I’ve often had similar thoughts in Kenya, Uganda and Malawi when I just realised that all of thy materialistic third world stuff is so crazy. That’s why I love being in Africa – it brings you back to your roots, to the ground, to yourself. 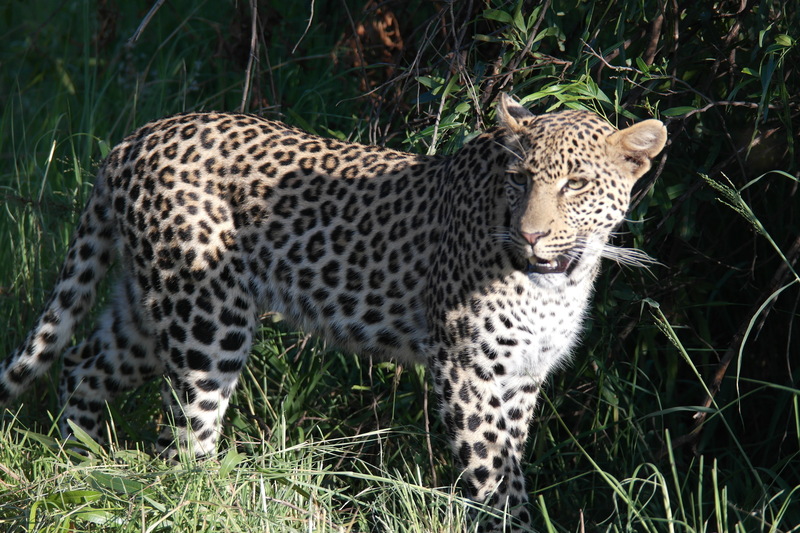 Another great spot was this leopard. A rare sight that even impressed the locals. He just came out of a tree and we managed to grab a shot as he stalked past the car. This huge lion face off was fun too but so scary. I missed the money shot because they roared really loudly and I ended up taking picture of the trees above us! However, the best shot of the trip has to be this one. 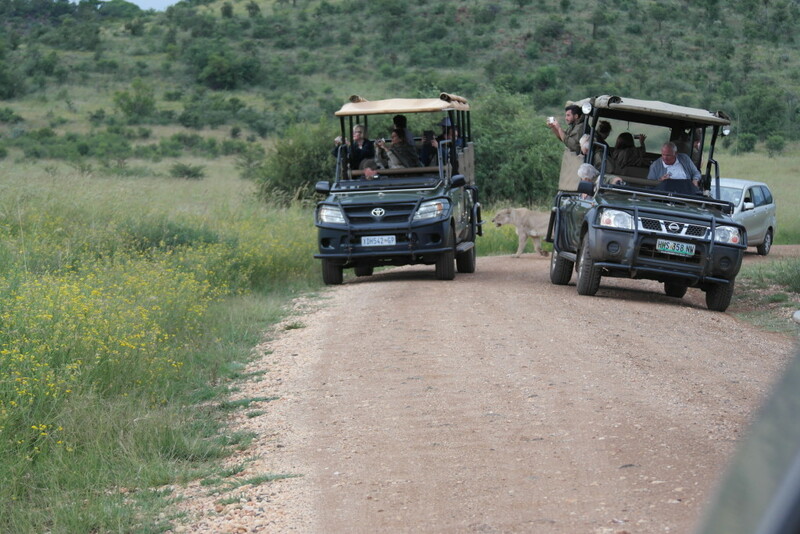 Two safari trucks of rangers and tourists were looking for the lions whilst one just snuck behind them. Classic. Have you ever been on a game drive or safari?